Happy Monday friends! In the blink of an eye, the weekend went by quickly; I however had a productive one. I posted clips of our holiday photoshoot on my Snapchat: Jadore-Fashion. It was so much fun and definitely interesting shooting with my 2 year old. I can't wait to share it all with you. I also put up more Christmas decor around the house; check out my Instagram to see how I decorated the fire place. The suit on this post is one of my favorites and it feels very classy. 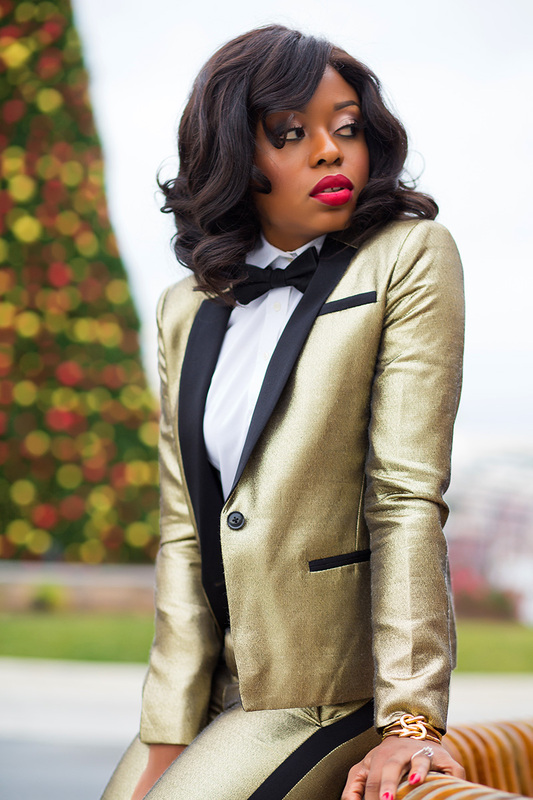 I paired the gold suit with a white shirt and bow tie - a great outfit for holiday events. 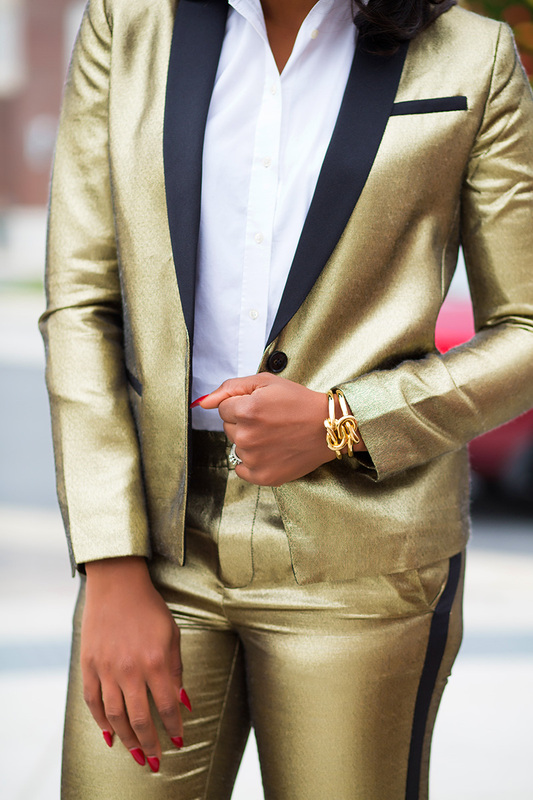 If you are unsure about wearing a gold suit set, you can pair separately. 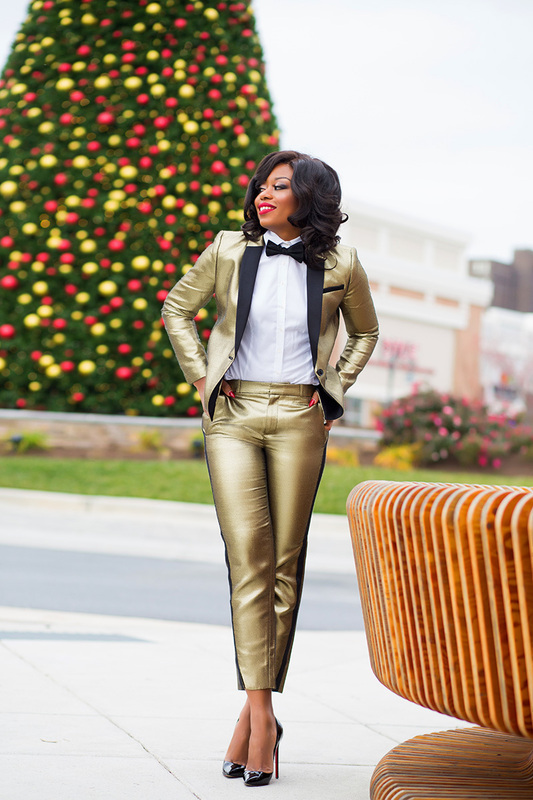 The gold blazer and tuxedo pants will look awesome and the gold pants with a black blazer will exude class. Either way, you are guaranteed to stand out at that holiday party. Very festive! I love it!